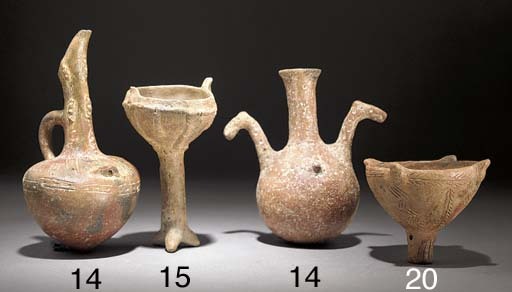 EARLY/MIDDLE BRONZE AGE, 2500-1650 B.C. The Art of Ancient Cyprus, p. 73, pl. 133 (item one), p. 53, pl. 56a (item two) and p. 141, pl. 176a/b (details of item two).